Got my orgo test back tonight and it was disastrous. 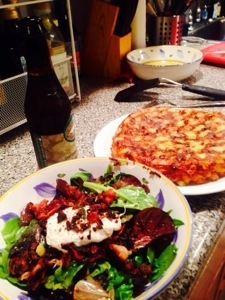 So I made Spanish tortilla and the poached egg salad with lemon-mustard vinaigrette and bacon to make myself feel better. Also drinking beer. Also watching PLL.